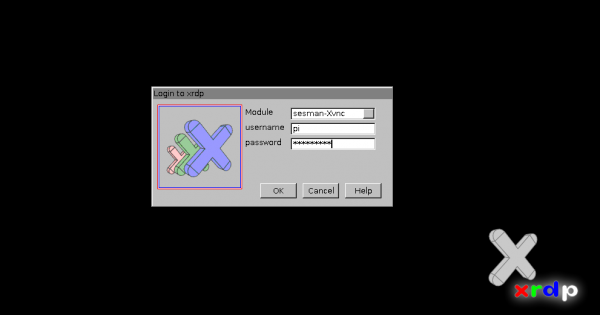 Although the Raspberry Pi can be controlled almost exclusively via console, but some programs are to be controlled only by a GUI. On all Windows systems a program for remote access is already installed and therefore it requires no additional software. And even on Mac OS or other Linux distributions it is very easy to connect to the Pi. The alternative would be a VNC or TeamViewer connection. But the disadvantage of VNC and TeamViewer is the higher transfer rate. 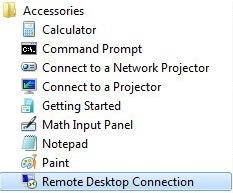 So if you want to remote control your Raspberry Pi over a mobile data connection, the Remote Desktop Connection provides a traffic sparing connection. On Windows systems the tool for the connection is already installed. First open the Raspberry Pi terminal by using mouse and keyboard or by connecting via SSH. The most important and recommended settings are already defined. You can login immediately. 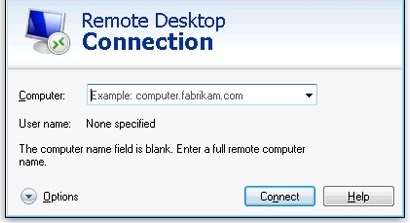 On a Windows PC search for “Remote Desktop Connection“. For Mac OS, there is an app from Microsoft and for Linux there is “rdesktop“. By clicking the Options button you can personalize some settings, like resolution or keyboard/audio settings. Now you have to enter the host name, which can be the IP of the Raspberry Pi (or the DNS server if you are not in the local network) or the name of Pi’s (default: raspberrypi) if your PC in the same network as the Pi. The login screen will appear. Here, you are just entering your login information (the same as for SSH, the default username is pi and the default password is raspberry), then you should see the desktop. If you want to have access also outside from of a network (via console and/or remote) you should install a DNS service on the Pi.